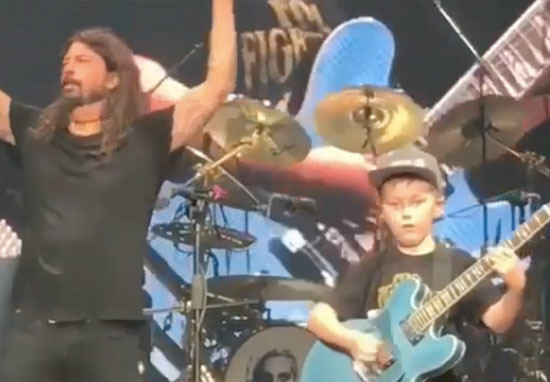 A 10-year-old boy was invited on stage by Foo Fighters frontman, Dave Grohl, and absolutely smashed a Metallica cover. Collier Cash Rule attended the Foo Fighter’s concert in Kansas City, Missouri on Friday (October 12), where Grohl asked the young fan if he knew how to play guitar. Collier explained he did, and made Foo Fighters fans and band members laugh when he revealed he knew a lot of Metallica songs. 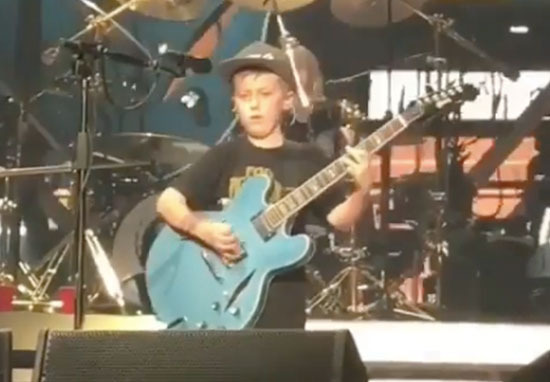 In a video, filmed by another member of the audience, the 10-year-old musician launched into the opening riff of Metallica’s Enter Sandman, playing alongside the band. Grohl sang along as Collier rocked the stage with the guitar. Despite the fact there were probably thousands of people at the gig, Collier didn’t seem phased and looked like a natural as he covered the song. 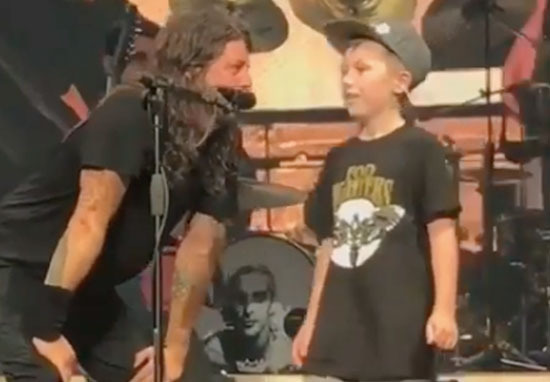 The Foo Fighters singer interrupted Enter Sandman to ask if the youngster knew any other Metallica songs, to which he explained he knew Welcome Home (Sanitarium). Without needing any persuasion, Collier began playing again, making Grohl laugh and fall to his knees as if to praise the talented young boy. After Collier finished showcasing his guitar-playing skills, Grohl pointed to the instrument and asked the 10-year-old if he’d like to keep the guitar, making the young boy’s face light up and the crowd erupt in cheers. You want that? You want it? The tour’s almost over, I might as well give him my guitar. If I see that sh*t on eBay next week I’m gonna find you! Collier was clearly overjoyed with his experience – which he later shared on Instagram – revealing he’d been playing his new guitar late into the next morning. I am working hard everyday on the guitar and bass. I played your guitar until my mom made me go to bed at 3am. Well, at least Grohl can be assured the guitar didn’t go straight on eBay. Foo Fighters fans loved the scene, with many sharing their love for Collier and the band on social media. It was so cool to witness this. Collier was awesome, the Foo Fighters were awesome, and Dave Grohl is the best front man of this generation. So awesome that Dave gave him his guitar. Something Collier will never forget. I’m sure that’s an experience Collier’s never going to forget!